The Farnese winery took its name from the nobleman Ottavio Farnese from Ortona who, in 1582, married Margaret of Austria, daughter of Charles V. Margaret wanted to improve the wine production in her Ortona vineyards. 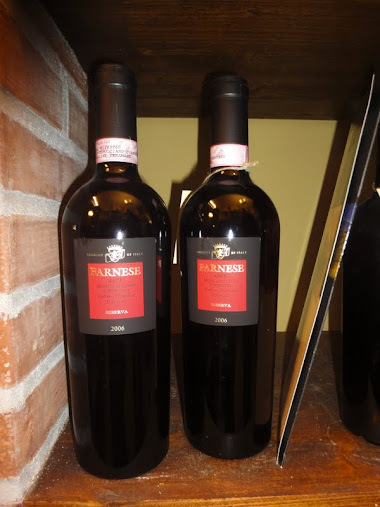 Later on, the local farmers continued to call their wines “Farnese”. Today the Farnese winery is one of the most appreciated in Abruzzo and whole Italy. Its grapes come from the vineyards in the fertile valley of the Moro river, while a part of the wine ages in the cellars of the Caldora castle, the winery headquarters. This entry was posted in Chieti, Hill, Tastes and tagged Caldora Castle, Farnese Winery, Ortona. Bookmark the permalink.